Our Deals Store is offering up a chance for you to win a brand new 13-inch MacBook Air ($1099 value), which includes Canadian residents. How to enter? All you have to do is submit your email address here. If you want 5 bonus entries, you can do so by purchasing the 2013 Summer Mac Bundle featuring Parallels Desktop 8. If you share the contest via Twitter or Facebook after entering, you will also gain bonus entries as well. 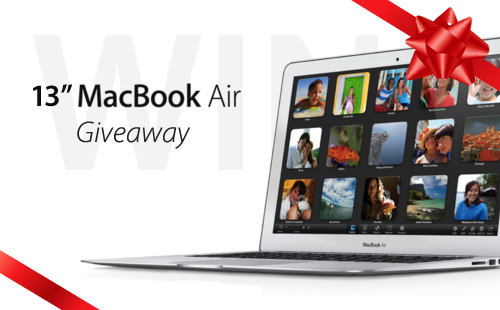 If you’ve dreamed of owning a MacBook Air, this is your chance to enter and get one for free. Good luck!